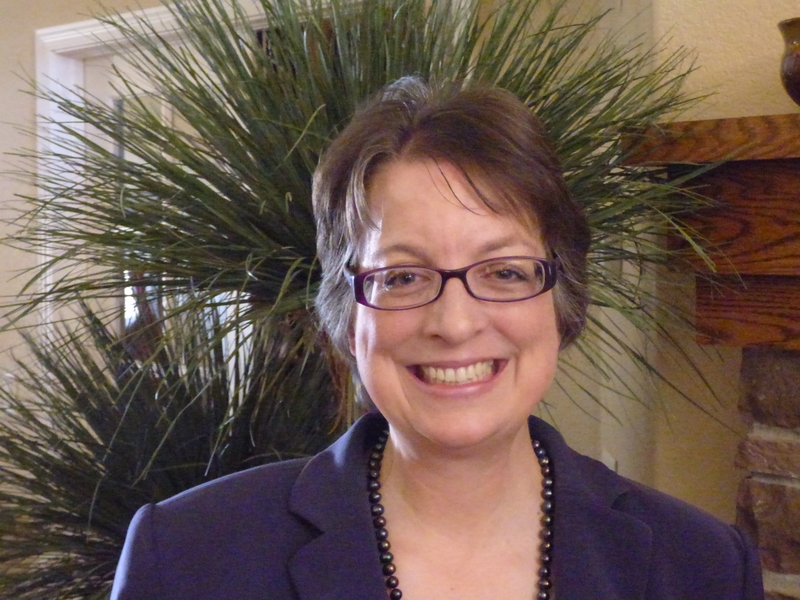 There were times in college and even in her early career when 1988 Boettcher Scholar Carina Raetz felt directionless. 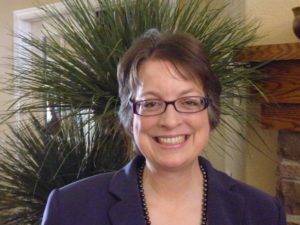 Carina attended the University of Colorado Boulder and was involved in various activities, including serving as a Certified Nursing Assistant for Alzheimer’s patients and as a radio DJ for KUCB. She switched majors from engineering, to business and ultimately, to English and anthropology. After graduating, Carina moved to California, worked as an advertising specialist at two different radio stations and married her husband, Ed, whom she’d met at CU. Carina began volunteering with various children’s organizations and substitute teaching, which is where she finally found her niche working with children with special needs. “Working with students finally gave me direction” Carina said. After deciding to pursue teaching, Carina attended California State University and received her Master’s of Education with a special education concentration, along with credentials in Clear Cross-Cultural Language Academic Development and Mild-Moderate Disabilities Teaching. Carina excelled in the classroom, earning multiple accolades in California, including California State University’s Leader in Education and a recognition for her class’ achievement growth in English test scores. In 2003, a death in the family prompted Carina to move back home to Colorado, where she landed a role as the special needs teacher in the small town of Ellicott, about 30 miles east of Colorado Springs. Committed to serving the community, Carina also became the dean of students, the school assessment coordinator and served on administrative and advisory committees. While there, she created the Dean’s Award to recognize kids for positive behavior and received a special recognition from the school board. Soon after, she started working closer to home and began the English-as-a-Second-Language Program (ESL) at Carver Elementary, where she has continued to work for the past nine years. Under her guidance, Carina’s students started “Student Power!,” an effort to encourage staff and students to save energy. As a result of this work, Carina’s students had the opportunity to present to world-renowned primatologist Jane Goodall. 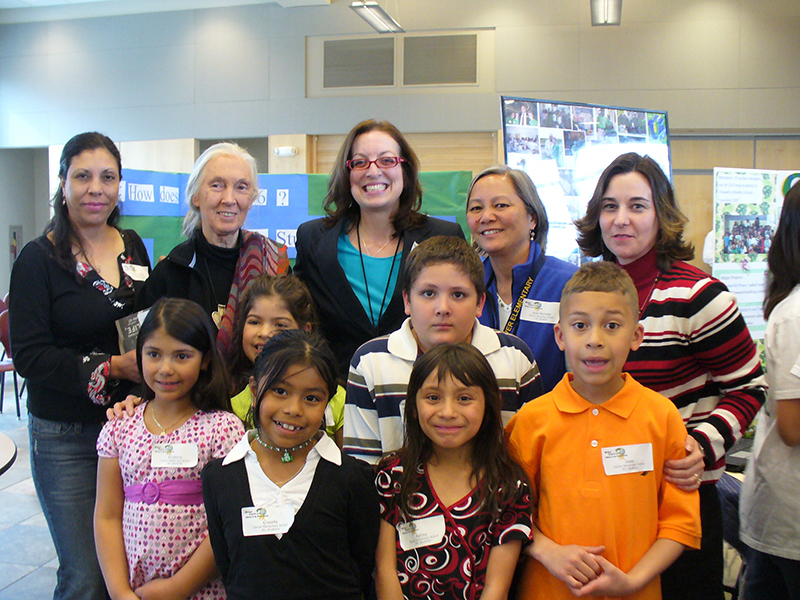 Carina Raetz and her students with Jane Goodall. “Meeting Dr. Goodall and watching my students present their ideas to her was one of the highlights of my career,” said Carina, who had idolized Jane Goodall since learning about her as an anthropology major at CU. She also initiated two programs at Carver to bring together ESL students and their parents to participate in language and learning activities. Carina is a member of the Colorado Chapter of the National Teachers of the Year, where she works with a group of teachers to positively promote education, something she says is critical to do in the U.S. right now. And if that wasn’t enough, Carina is also working with the deputy superintendent to solve the problem of teacher retention in Colorado and recently was a finalist for the 2017 Colorado Department of Education Teacher of the Year. It’s that calling that continues to motivate Carina to find new teaching methods and new ways of encouraging the potential of the next generation.